Sayyid Ammar al-Hakim with the delegation discussed support to the government and the aspirations of the people to provide services and employment opportunities. 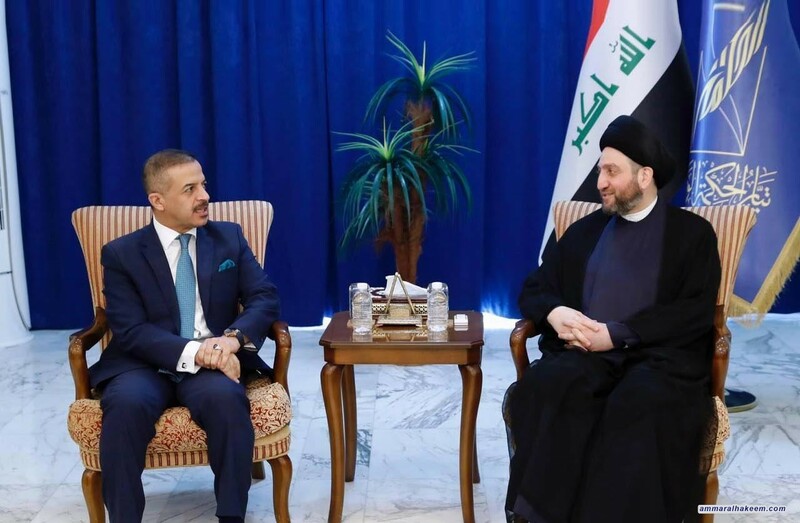 His eminence indicated that Iraq is on a new stage and presented an important model in peaceful transfer of power and rotation of roles, called to adopt moderation and balance to resolve unsettled issues. Sayyid Ammar al-Hakim stressed the importance of opening up on regional and international levels basing on observing the interest of Iraq and making Iraq a bridge for communication, pointed to the importance of completing the internal construction of the Reform and Reconstruction Alliance and support the government in its next mission.